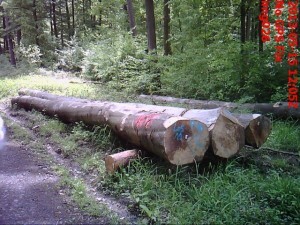 The forests that Hessen-Forst manages provide firewood and veneer for private citizens in Hessen, and they keep it completely sustainable by only cutting down timber equal to the amount of growth each year. They view their forests as a bank account, where they only withdraw the accrued interest each year, while never touching the initial capital. Because of this, they must manage their forests intensively. This requires tracking a huge amount of data, including which trees were most recently cut down, and which trees are up to be cut down next. 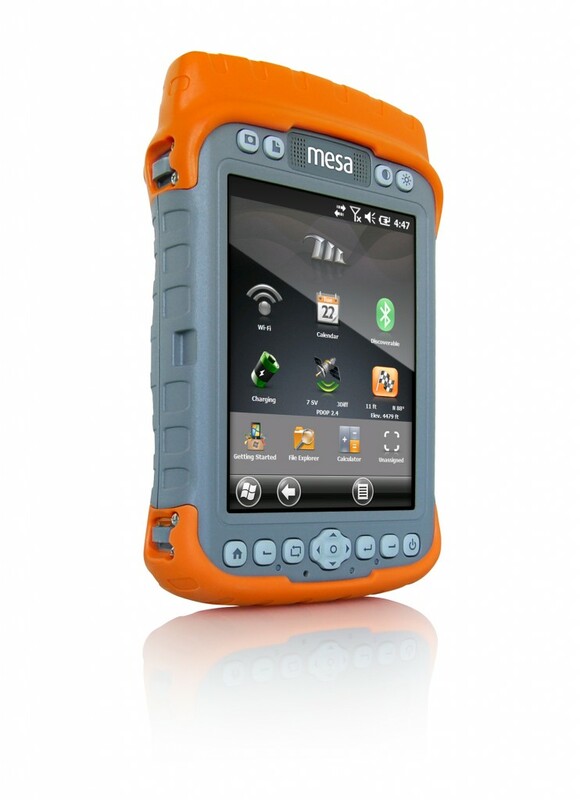 To help manage all of this data, they recently purchased the Mesa® Geo Rugged Notepad (Mesa with GPS) after a rigorous selection process in which they evaluated a number of rugged handheld options. The foresters of Hessen-Forst wanted a handheld with a large display with which to view their mapping programs, but didn’t want the bulkiness of a tablet. 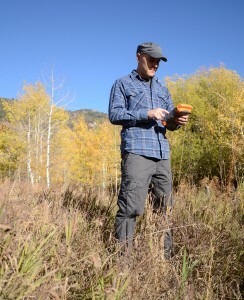 The Mesa was just the right size for them, providing benefits of both a handheld and a tablet. They also required a handheld with excellent GPS performance under heavy tree canopy, so the Mesa Geo was tested extensively in heavily forested areas before they were completely won over. 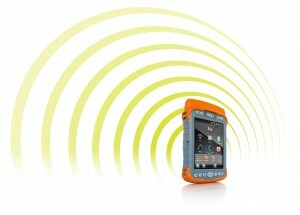 With its excellent GPS performance in forested areas, its extra-large display size, and its superior ruggedness, it became apparent that the Mesa Geo was the best handheld for them, and they subsequently purchased 580 handhelds. Because many civilians use firewood to heat their buildings, much of the wood from Hessen forests is sold to private households in the community for that purpose. 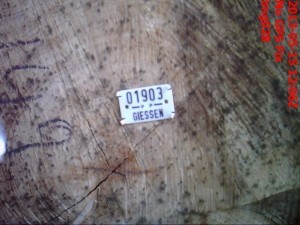 Every year, nearly half a million acres of firewood from the Hessen forests is available for private use. That’s the equivalent of 100 million liters of fuel, or about 26.4 million gallons! The rest of the wood is sold to be used mainly for veneer. As far as software goes, Hessen-Forst uses a custom, mobile GIS software developed in Spain that allows them to collect points, polygons, and lines with custom attributes and includes background maps and integration with their Esri® GIS solution in the office. The rangers use the Mesa Geo to track their activities within Hessen’s forests. When cutting down timber, the rangers first use the Mesa’s GPS to navigate to a designated stand of trees. Once they locate, and cut down the correct trees, they record data about the species, the location, diameter, and grade of the trees on the Mesa. The logs are then laid along the side of the road, and the rangers record the GPS location to indicate to others where the logs are to be picked up. This information is then sent back to a central database. With a large fleet of handhelds, it becomes necessary to have an easy way to manage all of those devices. To manage their 580 Mesas, Hessen-Forst uses a mobile device management software called SOTI, which allows them to easily make updates, control security, and troubleshoot issues from a central administrative office via Ethernet. 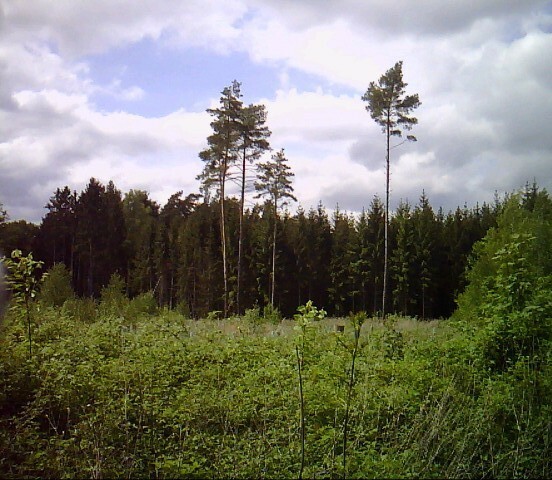 The Mesa Geos have enabled Hessen-Forst to more easily track & manage all of their data, helping them to assure the continued sustainability of the forests of Hessen for years to come. If you’re looking for a way to easily collect and manage data, contact us online or via phone (435.753.1881) and let us help you find the best solution for your needs.